The Fall Front Porch using the colors of orange and blue. of bold colors and animal prints. with a beautiful blue and white paper. 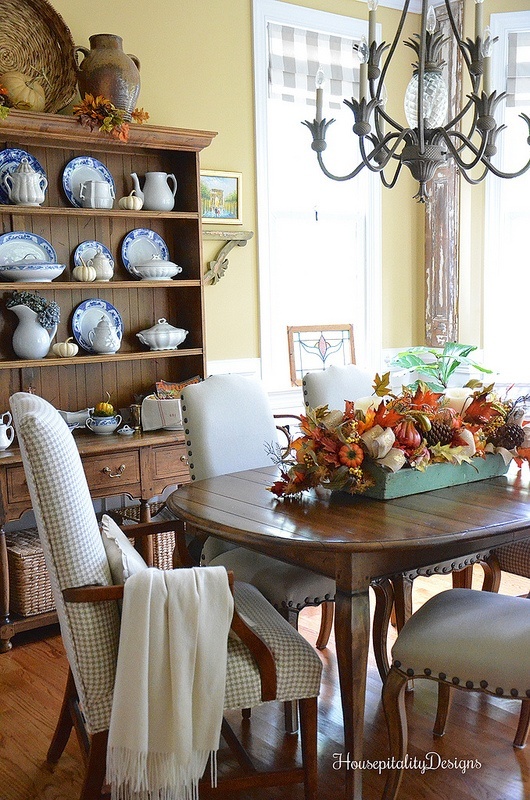 The Dining Room has had few changes for this Fall Season. 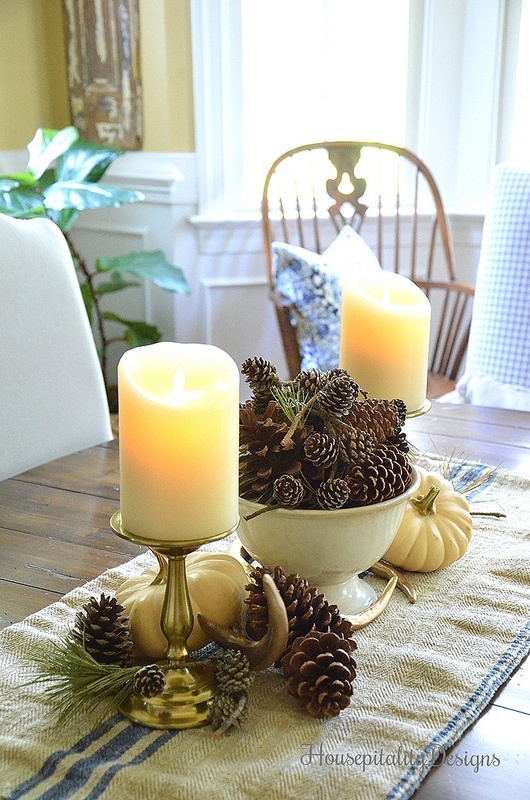 From a table dressed for a Post Thanksgiving tablescape . . .
. . . to a simple Fall centerpiece of the soft glows of candles, antlers, and pinecones. tucked into a vintage tool box that reminds me of my Dad. I hope you have enjoyed my home dressed for Fall this year. I so look forward to presenting my home dressed for Christmas, the Season of Joy. Wishing you all a most beautiful Fall day! Shirley, I so enjoyed seeing every room again. 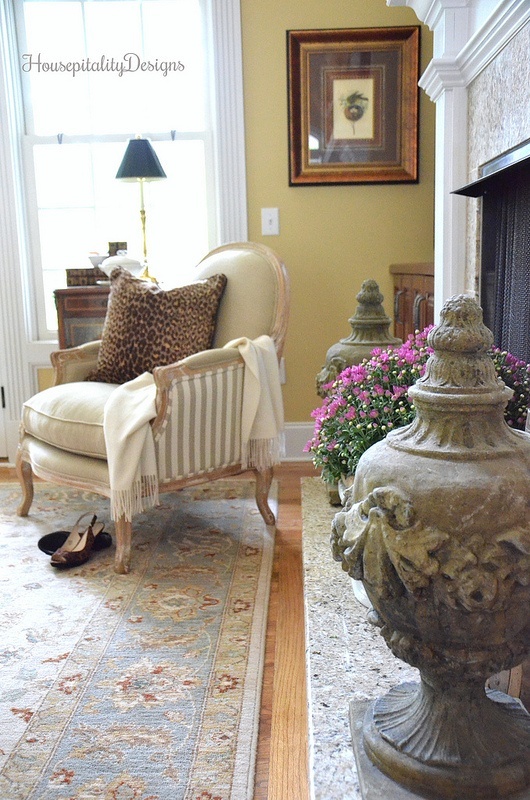 Fall is a favorite season for me and I have loved seeing your seasonal decor. Can you believe we are right here at Christmas season? Have a wonderful day! I love all of your fall touches. I pinned your front porch with the pretty blues and oranges. 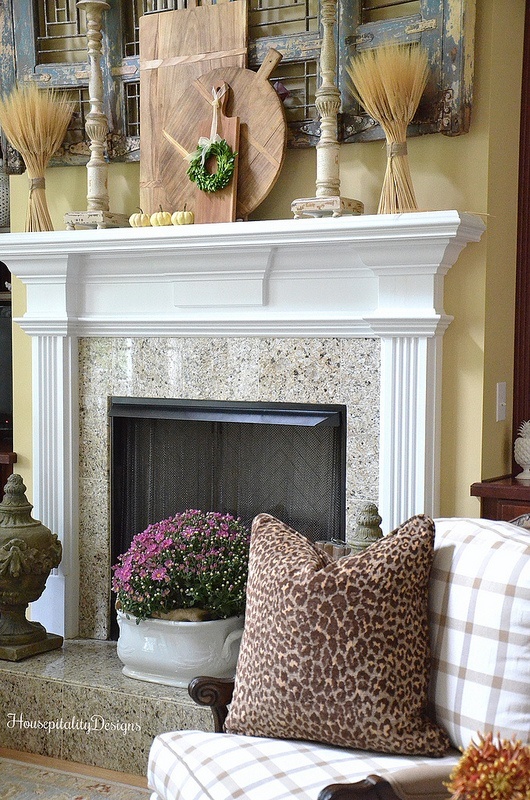 You created a beautiful and cozy fall home and can’t wait to see it decked for Christmas. 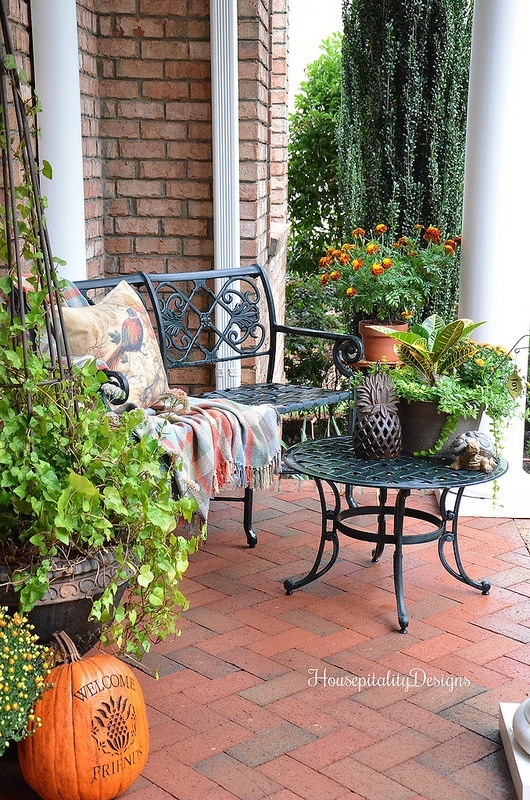 Shirley, your home looks absolutely beautiful adorned for Fall! Like you, it always makes me sad to take the decor down especially after Christmas. I’m not hosting Thanksgiving this year, we are going to both my parent’s and in-law’s houses. Therefore, I am probably going to start my Christmas decorating next week, and I am pretty excited about that. I hope that you have a great day!!! 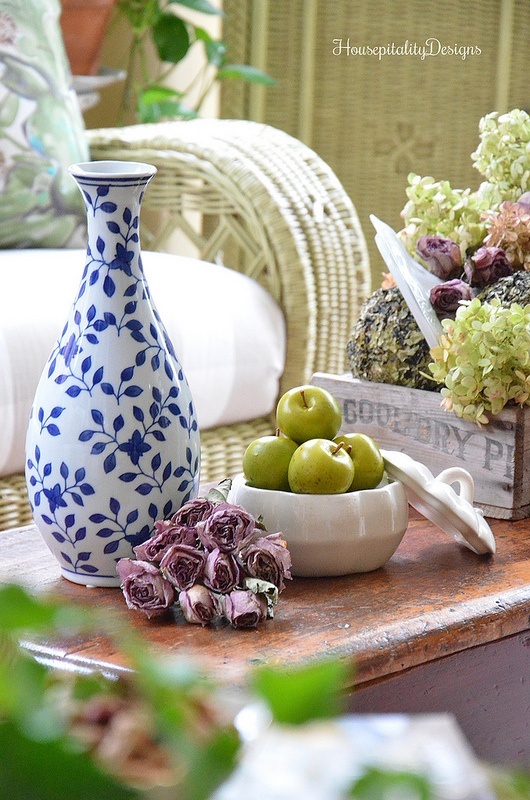 Love it all….question….where did you get that blue and white rug on your upper Porch?? Everything looks so pretty Shirley! 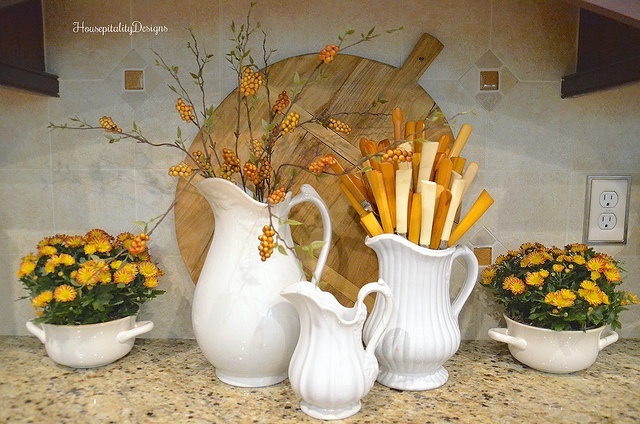 I especially love that gorgeous fall centerpiece on your dining table. 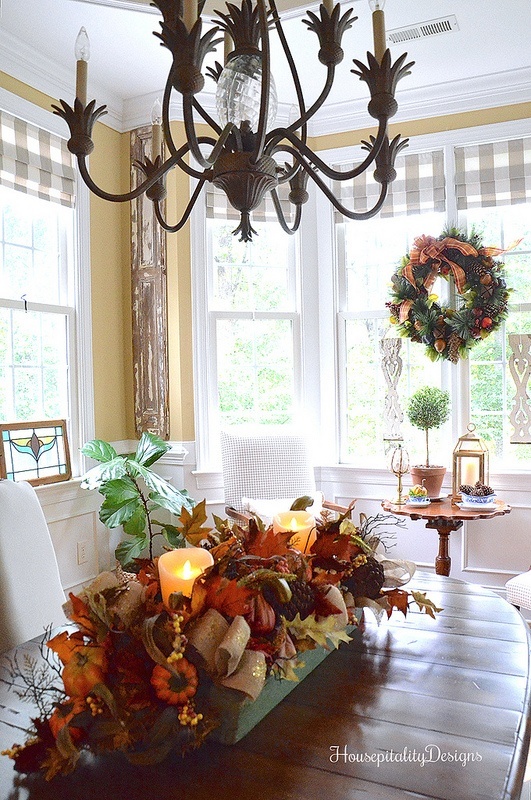 Your home is always beautifully decorated for ALL the seasons! You have the touch! Thanks for this tour. I am doing one on Thurs.! Have a most beautiful day!!!!! Now I am off to VOTE!!!! Absolutely lovely! I love fall and as wonderful as the Christmas holiday is – there is no comparison to the lovely colors our fall season brings us. In your bedroom I noticed the lovely secretary. I would love your thoughts on how to style it. Mine is in the living room and I have actually moved my large hutch in to the living room as well. 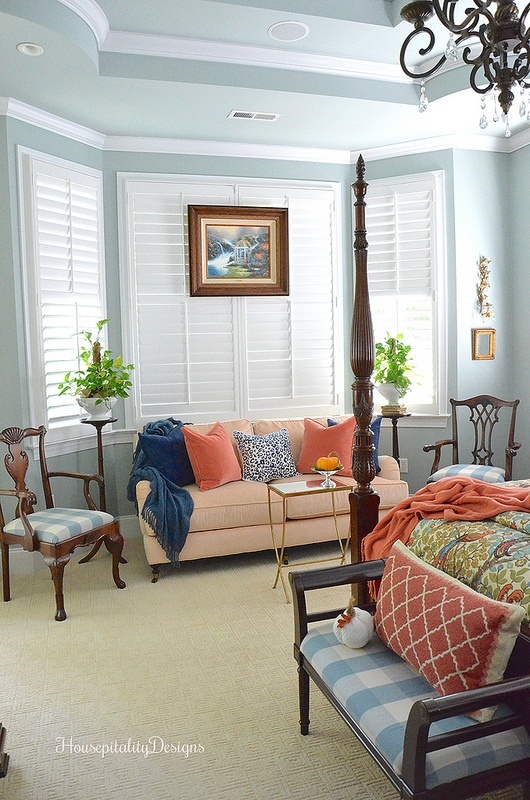 I have a large wall that needed a filler – tired of having two sofas in that room. 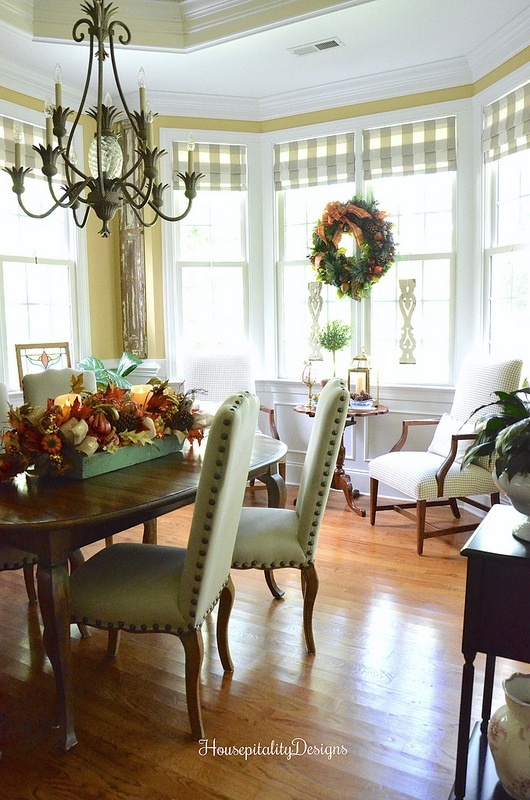 The dining room and living room are one long room. 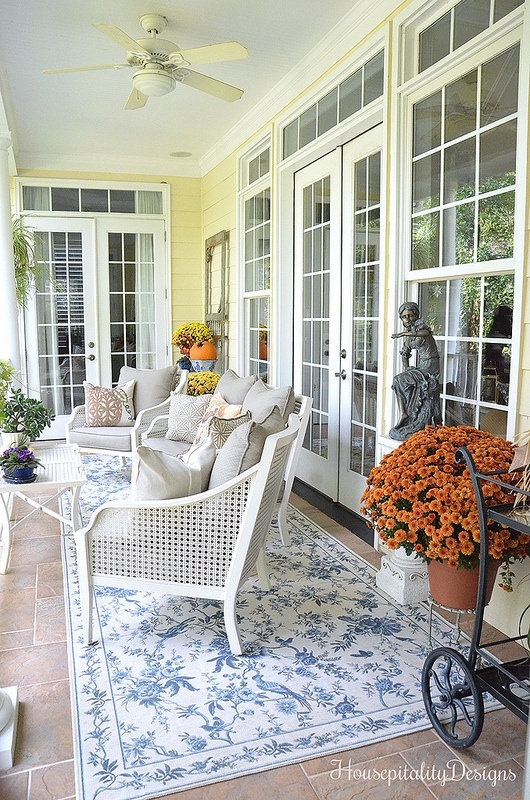 Every room including the outside porches are absolutely gorgeous! 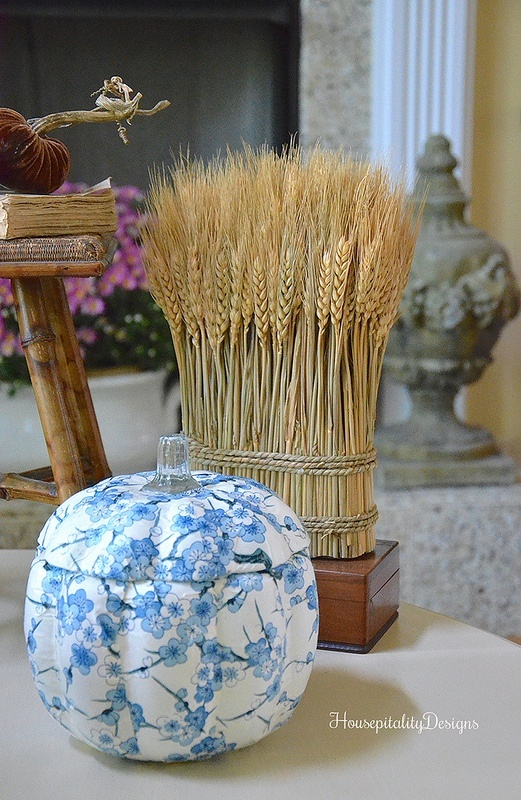 Everything in your fall decorating is stunning! 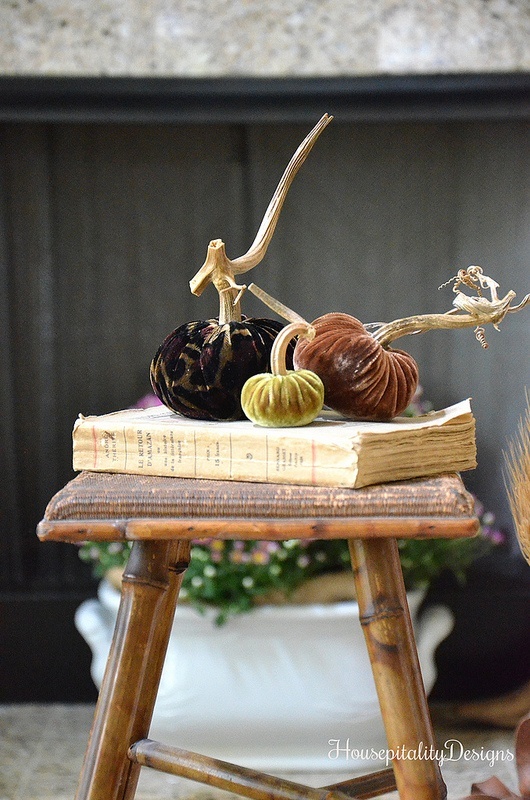 I just noticed the darling bamboo stool with the pumpkins sitting atop. The stool is unique and I hadn’t noticed (seen) it before. A new find? Regardless, it fits just perfectly in your decor. Thank you for giving us a last glimpse of your beautiful fall decorating. Wrenda…the French bamboo stool is not new…I purchased it about 18 months ago. I use it in different areas in the room…thanks so much. Your decorating is beautiful, and not at all overdone. I especially like your centerpieces and the wreath in your dinette window. I can’t wait to see your Christmas decorating. Absolutely awesome! Love orange and blue! Wow, Shirley it was fun to view again and I realized I could stay here for quite sometime soaking it all in. Your home is beautiful . The orange and blue combination is stunning! 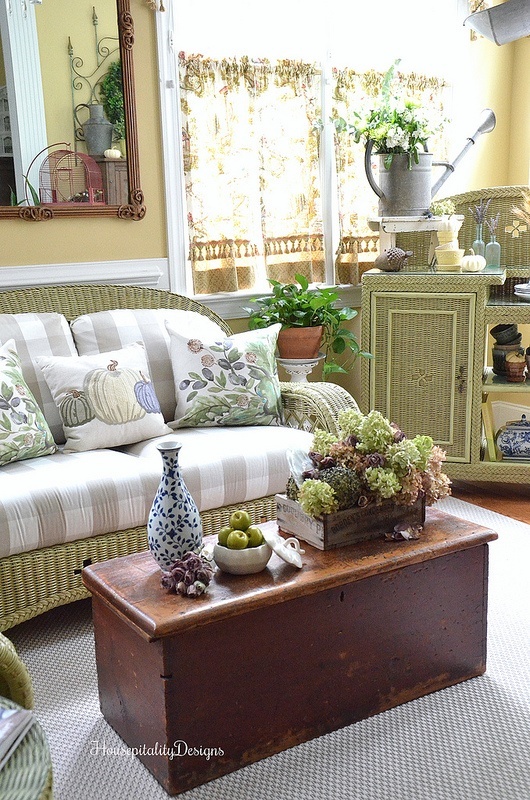 Especially enjoy how you incorporate pieces together in pretty vignettes Shirley. 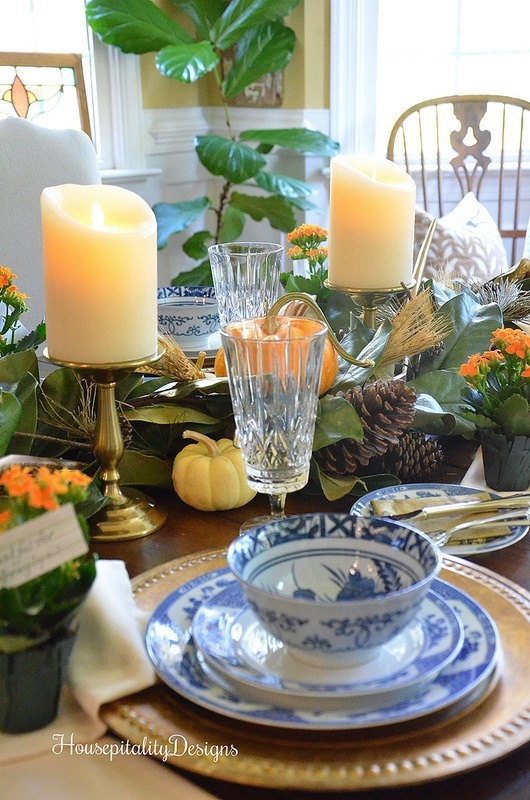 I especially love all of your Fall tablescapes! I just noticed when looking at your pictures all the pineapple touches. I believe I saw a pineapple lantern on your front porch along with pineapple sconces and a beautiful pineapple chandelier in your dining room. I just bought two beautiful bright and shiny gold pineapples from HomeGoods to use in my Christmas décor. I too always get a little sad when packing away my décor from one season to another because it always reminds me how quickly the season has passed. Thank you for the beautiful tour, everything is perfection. This year has moved with the speed of lightning, can’t believe Christmas is less than two months away. Seems I just put all the Christmas decorations for 2015 away. So pretty Shirley! Your home is welcoming and so gracious. 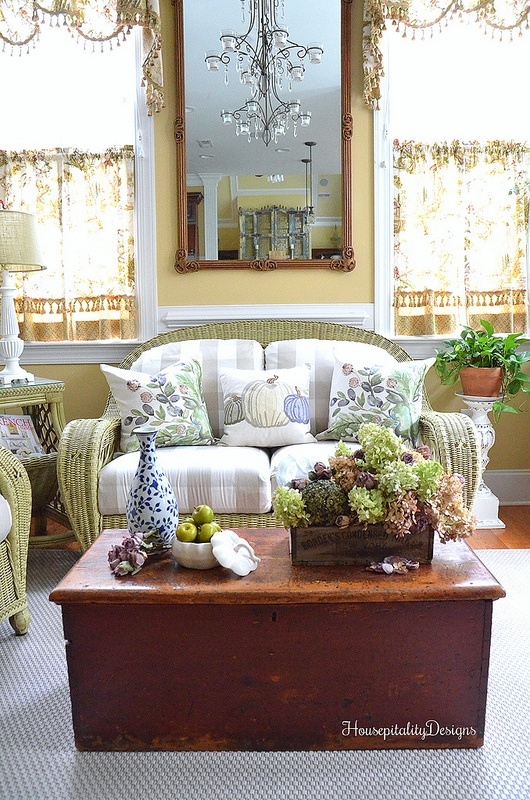 Love the colors, and all the antiques of course. I enjoyed the Fall Tour Recap. You have such a beautiful home and I always enjoy visiting. 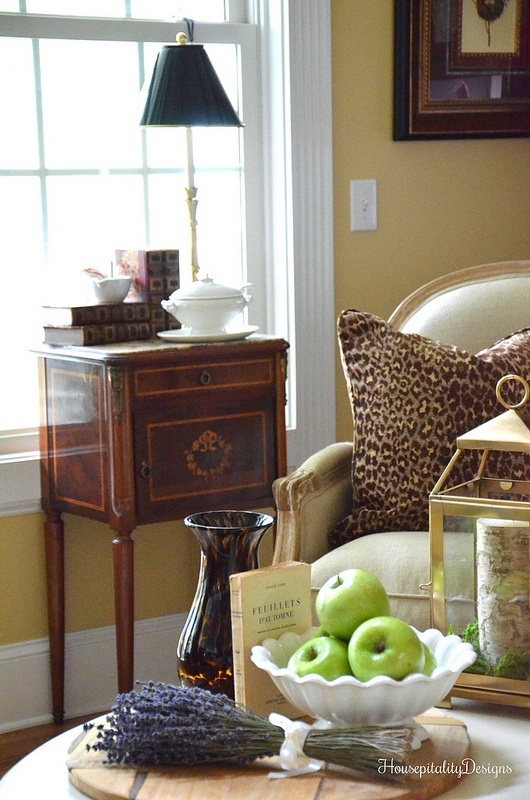 Debra’s recent post…Does Apple Torte Count As An Apple A Day? Beautifully decorated Shirley! Love all the pops of orange throughout! 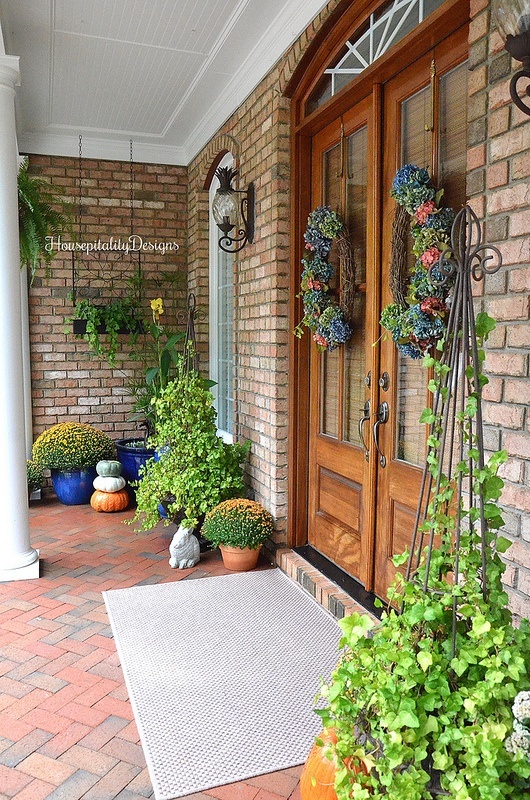 Just beautiful from front entry to back porch–great job! 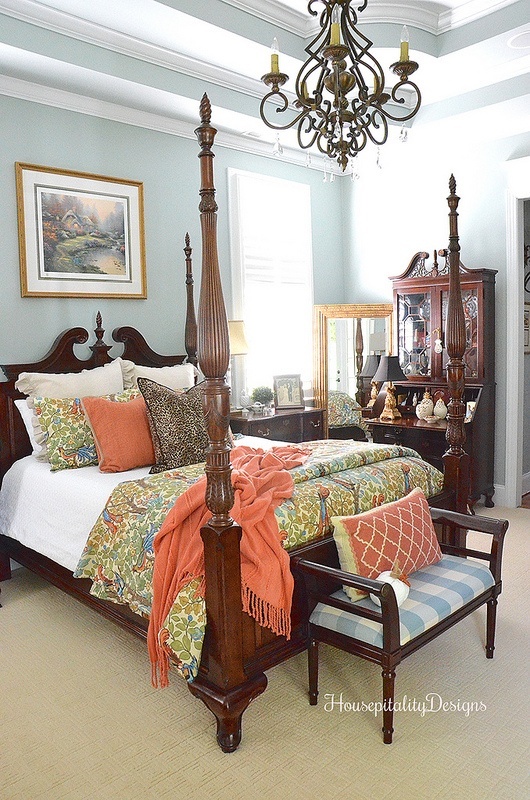 Your home always looks so cozy and welcoming, Shirley. Shirley, you amaze and delight. I’ve missed some posts this fall, so I was really grateful to see this tour. 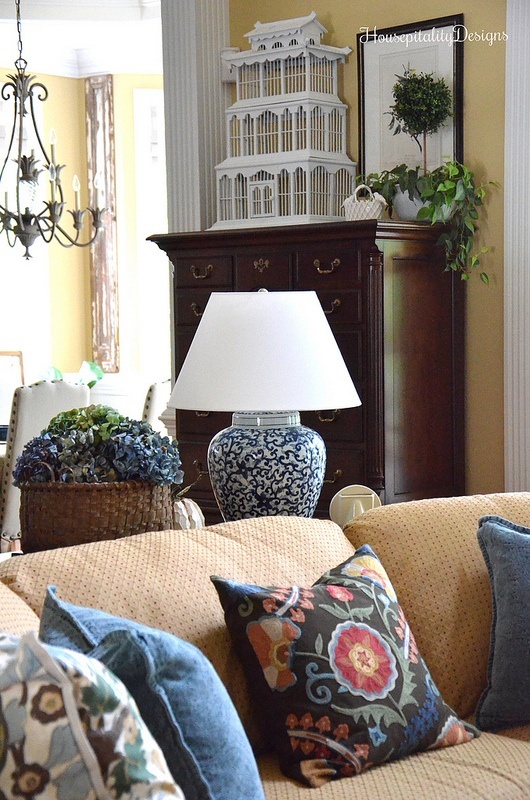 Your home truly is beautiful, and I LOVE the way you change things up but always remain true to your signature style. You’re an inspiration!